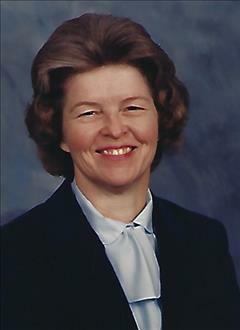 Beverly Ann Heady, 82, was born in Tulsa, Oklahoma, on March 18th, 1936. Beverly entered her heavenly home on November 3rd, 2018 in Oologah, Oklahoma, surrounded by her loving family. Beverly is preceded in death by her parents, Orlin Orace and Lillian Velma (Strother) Thomas. After receiving her Associates Degree, Beverly worked as an Accountant for Mortgage Clearing Corporation in Tulsa. Beverly was a devout Christian who loved to garden and work in the yard. She was passionate about literacy and was instrumental in the development of the Oologah Little Library, having donated countless hours and numerous books to the cause. She is survived by a son, Timothy Perry of Oologah, Oklahoma; a daughter, Lee Ann Perry of Owasso, Oklahoma; 7 grandchildren, 10 great-grandchildren and sister, Pam Hunt of Hallsville, Texas.